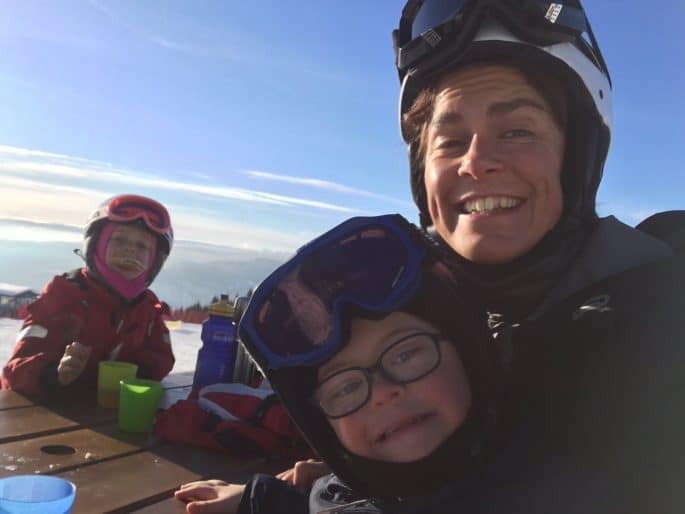 The Nordelöf family spent the winter break in Hafjell, Norway. Mother Anna answers some questions about the days in the slopes and the evenings in the chalet. Hi Nordelöf family! How is your ski vacation in Hafjell? It’s great! Much snow and long slopes, and we have also had plenty of sunny days! Is this your first ski vacation? No, we usually go to the mountains every year, either in Norway or Sweden and often during the winter break. The kids have been skiing since they were toddlers. Is skiing your main focus or do you do other fun stuff too? During the days it is all about skiing, this time almost only down-hill but a little bit of cross-country as well. Earlier years we have spent quite som time on snowracers and sledges too, but this year we have been in the ski-slopes all day. In the evenings we hang out in our chalet together with our friends. What are the best things with going on a ski vacation? This year Maja tried snowboarding which she picked up really well. Melker enjoys going skiing and he gets better and better when it comes to making turns, but he does not always want to turn as much as needed. He really loves to have full speed downward! Therefore we go with him in a ski harness in the steep slopes. 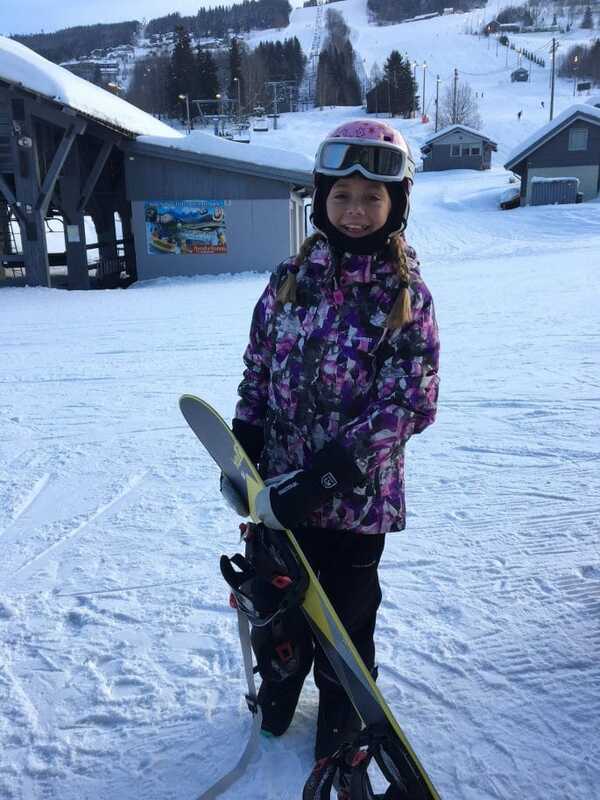 Molly’s favourite activity this year was the ski school where she learned how to brake and many other fun stuff too. She even got a medal! Anna loves the snow and to ski both down-hill and cross-country. 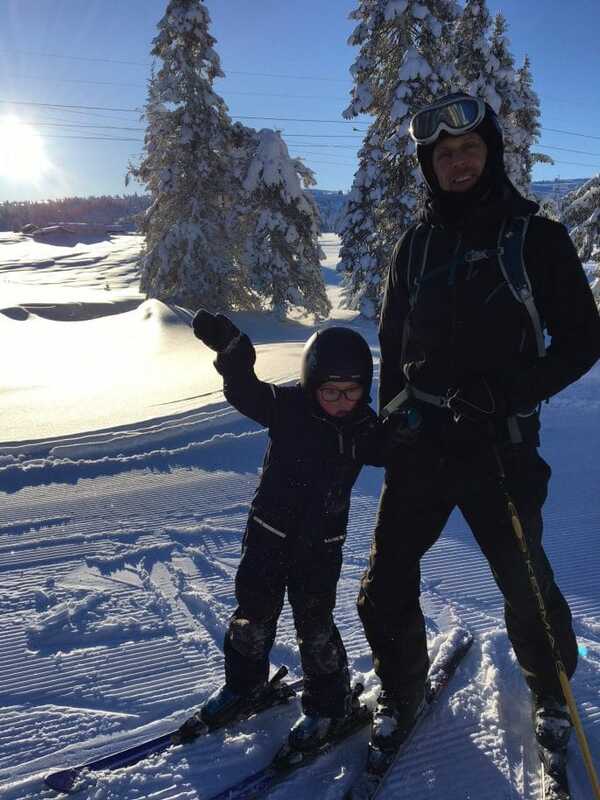 Anders likes slalom and skiing together with the whole family. What do you do to make the vacation a little extra successful? We like to stay in a chalet, cook our own food and then bring extra energy like chocolate or raisins in the slopes to keep up a good mood. An advice from us would be to find a cottage/café to go back to every day (routines, routines) and listen to the kids when they need a break. 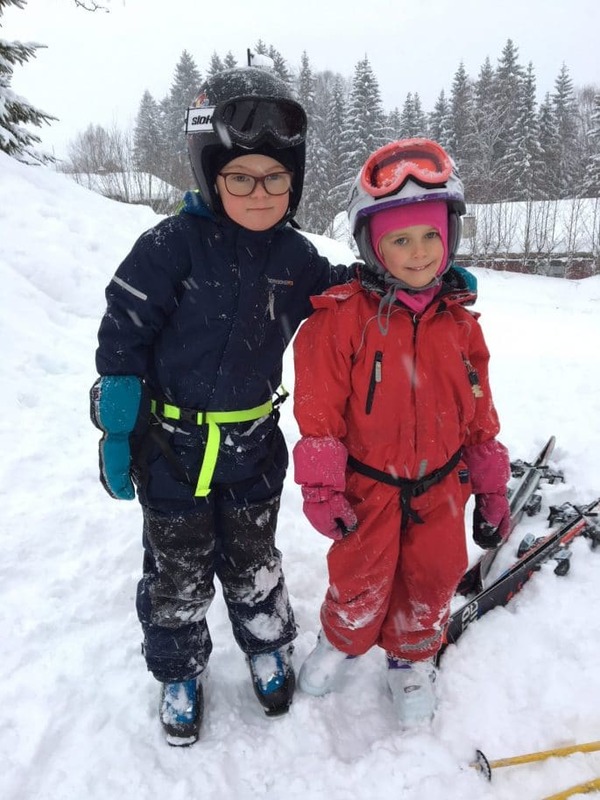 A ski harness for children is a saviour just like knowing the area, find the areas adapted for children and to make sure to stop in time. This year we got a free attendant lift pass to go with Melker (who has Down syndrome) and a great discount on his lift pass as well. That was something we really appreciated with Hafjell since we have never been offered anything similar in any of the other ski resorts we’ve been to before. Mum Anna, dad Anders, Maja 10 years old, Melker 8 and Molly 5.